XSD Sand Washer, LSX Sand Washing Machine. SBM sand washing machine is a kind of cleaning equipment of international advanced level for sand and slag pellets. Sand washer is most used as kind of cleaning equipment which is popular in sand making plant. 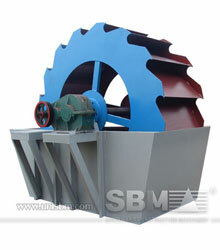 SBM provides a complete line of sand washing plant for the mining and industrial minerals. In many crushing plants, such as aggregates crushing screening plant and gravel sand making plant, you can install this sand washing machine for intensive washing action. SBM offers a full after-sales support services to our customers, including technical advice and fast and efficient spare part delivery. Sand washing machine is widely used in sand quarry, mine, building materials, transportation, chemical industry, water conservancy and hydropower, concrete mixing station and other industries in the material washing, can also be applied in construction sites, gravel factory, glass factory, hydropower stations and other units used by the smaller particles of sand required washing, grading and dehydration. It can remove the impurities on the surface of the covering sand, while destroying the coated grit vapour layer, in order to dehydration, the efficient sand washing cleaning effect.